If you’ve been following the story of Hank the pit mix, you already know it’s been a long one. 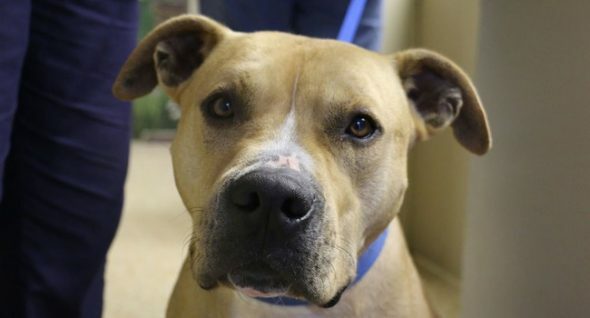 a judge ruled that he was a “dangerous animal.” He was scheduled to be euthanized. The folks at Lewis County Animal Control, however, got to know Hank during his stay. They did not believe him to be dangerous and so changed his name and found him a wonderful new adoptive mom in Jann Propp-Estimo. Hank had a wonderful new family who loved him very much, but knew nothing of his case or his past. Fast forward to May 2017. It was discovered that Hank’s sentence had not been carried out. 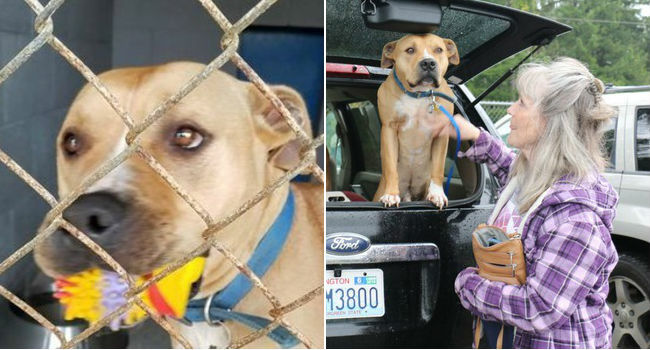 And Hank was torn from Propp-Estimo, her husband and their 9-year-old grandson and placed him back at Lewis County Animal Control. Since then, his owners’ Facebook-based plea to have their loving pet returned has mushroomed into a story that’s gone viral worldwide. Petitions were signed. Calls were made. Support poured in from everywhere. 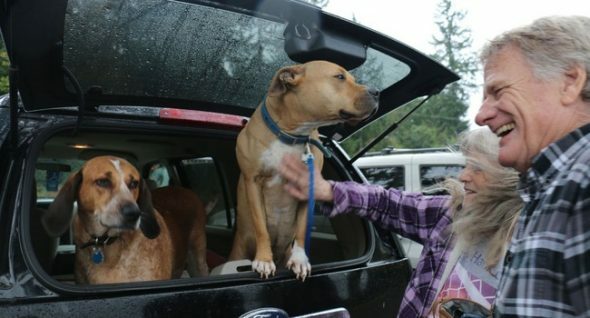 And this week, after five long months in captivity, Thurston County Judge John Skinder ruled in Hank’s case, ordering that he released immediately to owner Jann Propp-Estimo and her family, granting a preliminary injunction requested by animal rights attorney Adam Karp. Skinder told the court he based his decision on the legal principle of equity, the Lewis County, Washington-based Chronicle reported. “Equity gives the court the ability to do what is right and fair,” he said. Furthermore, he “rescinded and voided” an earlier court order to euthanize the dog. Yesterday, just hours after the ruling, Propp-Estimo picked Hank up from the animal shelter and took him home. The couple admitted it was an emotionally exhausting fight. “She has five months of sleep to catch up on,” Pringle said of his wife who steadfastly lobbied for Hank’s release despite sketchy odds. Propp-Estimo said she knew Hank never took part in the acts he was accused of because of his polite temperament. She was grateful for all the support garnered via social media. Help Save Hank became a page where Propp-Estimo updated followers on the state of the case. Similarly, the Help Save Hank website gave everyone the details on Hank’s story. Amy Hanson, manager of the shelter, wiped tears of joy from her face. 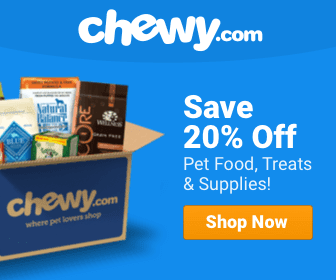 “We are so happy for the dog and his family,” she told the Chronicle. Hanson and her boss, Danette York, were responsible for adopting Hank out after his name had been changed, according to court documents. Both faced criminal charges that were later dismissed. Judge Skinder said that Propp-Estimo and her family had “clean hands” in the situation, noting that Propp-Estimo had done nothing wrong in adopting a dog that she had no reason to believe was dangerous. “Ultimately, there was a fraud committed that deeply harmed her and the dog,” Karp said, arguing that Propp-Estimo and her family shouldn’t have to lose Hank because he was adopted under unlawful circumstances out of their control. Adoptable Senior Skippy Wants To Be Your Lap Dog For Life! So happy Hank is home with his family. Thank you to the judge who released him. Yea! I’m so happy that Hank is free! Hoping he has a long healthy life and can forget being wrongly imprisoned!